MADISON SQUARE GARDEN, NEW YORK, 21 y 22 SEPTIEMBRE 1979. Los famosos conciertos anti-nucleares que marcaron el debut de The River. There’s a case to be made that Bruce Springsteen’s appearance at two MUSE benefit concerts in 1979 mark the moment he truly arrived, when his status as not merely a rock star but THE rock superstar of his era became undeniable. And not unlike similar moments that affected Bruce himself, specifically Elvis Presley and The Beatles appearing on the Ed Sullivan Show, the power of a filmed performance was a major contributing factor. 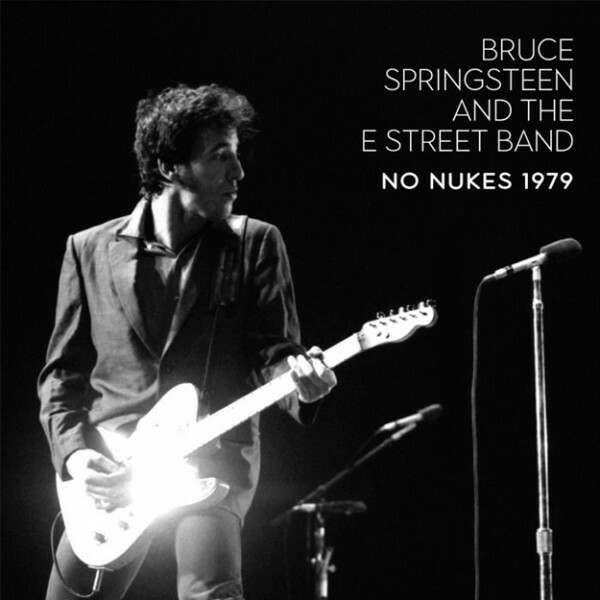 After all, the No Nukes film (released in 1980) and, to a lesser but still important extent, the No Nukes triple album, were the first commercial releases to ever offer live Springsteen performances. After spending the better part of 1978 playing to ever-growing crowds on the Darkness tour (including arena dates in top markets), Springsteen had become a major touring act. Better still, the legend of his three-hour concerts was spreading, and word-of-mouth reviews sounded like tales of religious conversion. The collective sentiment expressed by those who had been to a Bruce concert to those who hadn’t was simple: You HAVE to see this guy play. But with the Darkness tour wrapped and the focus shifted to studio recording, it seemed there would be no chance to see Springsteen live in 1979. The pent-up demand to see Bruce in concert, particularly in his NY/NJ homebase where he hadn’t played since September 1978 (save for an on-campus gymnasium show at Princeton in November), was off the charts. Meanwhile, in March 1979, an accident at the Three Mile Island Nuclear Generating Station near Harrisburg, PA, highlighted the risks of nuclear power to the entire nation and further galvanized the already active anti-nuclear movement. MUSE (Musicians United for Safe Energy) was formed soon after Three Mile Island by a group of like-minded artists and music-industry leaders, including Jackson Browne, Graham Nash, and Bonnie Raitt. To raise awareness and money, the newly founded organization wasted little time in announcing The MUSE Concerts for a Non-Nuclear Future, five shows at Madison Square Garden in New York City. Two of those would be headlined by Bruce Springsteen and the E Street Band in their only concerts of the year (not counting the final Darkness show, Cleveland 1/1/79). Needless to say, ticket demand for September 21-22, the two nights Springsteen was scheduled to perform, was enormous. Bruce and the E Streeters had spent much of the spring and summer in the studio at the Power Station on West 53rd, recording songs for what one year later would become The River. In fact, soon after the MUSE concerts, for which they paused to rehearse and perform, they considered stopping recording entirely and turning in a ten-song single album (eventually released in 2015 on The Ties That Bind box set). While recording for The River would not only resume but carry on well into 1980, Springsteen was at least considering that his new album might be pretty much done when he took the stage on September 21. He was also two days away from his 30th birthday. Combine that with an eight-month layoff from the road, and it is no wonder he and the band played with such passion and ferocity at the two MUSE concerts, both presented/captured here in full. Jon Altschiller’s new multi-track mix crisply captures the electric anticipation in the air as the band tunes up and blasts into “Prove It All Night” on 9/21, with Max Weinberg in particular adrenalized by being back on stage. While some finer details of the final arrangement of “The River” were yet to come, the emotional core of the song is fully realized. It is thrilling to hear these initial performances and to imagine what it would have been like to experience the song for the first time amongst the No Nukes crowd. My jaw would have been on the floor. The look-forward to The River continues with “Sherry Darling,” shifting the mood materially with an “end-of-the summer song” and restoring the party atmosphere from the top of the show. From there, it is a race to the finish through “Thunder Road” (the performance from the second night is featured in the No Nukes film), “Jungleland” (a couple of particularly passionate versions), “Rosalita,” and “Born to Run.” All killer, no filler. The two MUSE performances are relatively consistent, with the second night perhaps slightly less frenetic, as one might expect. The “encore” songs are where the changes come. The encore from night two repeats “Stay,” this time with the late Tom Petty sharing lead vocals with Springsteen and Browne, and wraps with a “Quarter to Three” for the ages, material parts of which made it into the No Nukes film. The footage of “Quarter to Three,” which shows Springsteen giving it his all to point of collapsing on the floor and needing to be revived (in jest) by the band, preserved for all to see the unique magic of Springsteen in concert. The film also shows other artists reacting to the pre-show cheers of “Brooooce” (and acknowledging that Springsteen is the artist the crowd is really there to see), not to mention the incredible performances of “The River” and “Thunder Road” noted above. Remember, at the time the No Nukes film was released in 1980, there was no MTV. Springsteen had never appeared on American television. You literally couldn’t see him perform without going to a concert until the No Nukes film opened that July. And when it did in the US, and later in the UK and Europe, tens of thousands of future fans saw with their own eyes what they had only read and heard about. Though he only appears on screen for perhaps 15 minutes of the film’s 103-minute run time, No Nukes managed to bottle up for the first time the essence of Bruce Springsteen in concert. Finally, the No Nukes shows also marked Springsteen’s first overt foray into political activism. During the show, Bruce says it was Jackson Browne’s “sense of purpose and conviction that got me down here tonight,” and Browne’s commitment to the cause continues to this day. To honor that, $2 from each sale of No Nukes 1979 will be donated to Musicians United for Safe Energy, to s0 years of fighting the good fight.